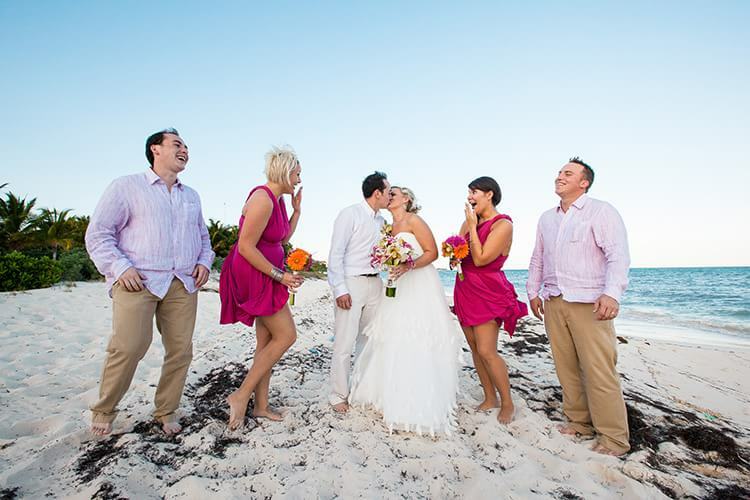 This is a quick list of rules for external photographers photographing weddings in the Mayan Riviera and Cancun. Resorts often change there rules so please, confirm with the resort and DO NOT solely rely on this information. I suggest getting confirmation from your wedding coordinator via email, printing this off and bringing it with you. And remember, resorts want you to get married in Mexico. So the vast majority of resorts are very easy to work with as they all want your business. Once you have confirmation, you can relax and not worry! Also when it says $? below, for the vast majority of those resorts, it will be under $100. -Require fee paid to their on site photography shop. Blue Bay Grand Esmeralda: Day Pass Required $? Ceiba Del Mar: Day Pass Required, No fee. Dreams Puerto Aventuras: Require a one night stay. Dreams Riviera (Porto Morelos): Recently, this resort has changed their vendor policy and is asking for a 30% commission fee. Ask the coordinator. Azul and El Dorado Resorts:$500USD fee, or minimum 3 nights stay. -Do NOT allow outside photographers, but couples have negotiated people in. Grand Coco Bay: Day Pass Required, No fee. Gran Porto Real Playa del Carmen: Day Pass Required $? Maroma Resort & Spa: Day Passes Required, No charge. ME Cancun & Beach Palace: Day Pass Required $? -Do allow outside photographers, check with coordinator. Occidental Grand Xcaret: Day Passes Required $? Ocean Turquesa: Day Pass Required $? Paradise Riviera Maya: Day Pass Required $? Secrets Maroma Beach: Day Pass Required $? Sandos Playacar: Day Pass Required $? Grand Sirenis Mayan Beach Resort and Spa: Day Pass Required $?